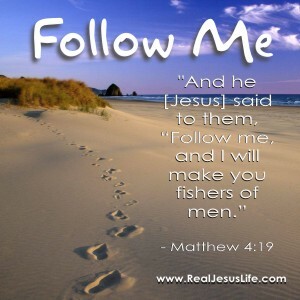 Categories: EVANGELISM | Tags: Fishers of Men, Follow Me, Jesus Christ, Matthew 4:19, Messiah | Permalink. True wisdom fears and respects God almighty. I was invited to be a guest speaker at a recent evangelistic meeting, “Men of Wisdom,” featuring various pastors and Bible teachers. Here is the message I preached, where lives were impacted and souls were saved, for the glory of God. 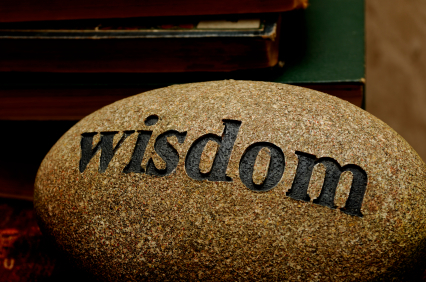 A truly wise man or woman, regardless of their education or lack thereof, no matter if they’re rich or poor, can be wise because they fear and respect God. It is true that God is a god of love, but He is also a god of judgment. Therefore, we always need to live our lives mindful of this fact. Because we are sinful people who, knowingly or unknowingly, commit sin every day of our lives, we need to make sure that we confess our sins daily and be cleansed by the precious blood of Jesus. Who is a foolish person? A foolish person says there is no God, and no sin, and no judgment day. They reject the grace of God and His free gift of salvation through Jesus Christ. But although they are in denial, and have allowed Satan to blind them to the reality of God, they will one day stand before almighty God at the Great White Throne Judgment. Either you name will be found written in the Book of Life – where your sins have been atoned for by the blood of Jesus on the cross, or your name will be written in the Book of Death and Judgment. In these books of judgment, God has kept a very detailed record of your life. Every evil word you have spoken, every wicked deed you have committed, and every shameful thought that has crossed your mind will be listed there. No one whose names appear in the Books of Death and Judgment will escape the wrath of God. They will be cast into the Lake of Fire for eternity. Is your name written in the Book of Life, or the Book of Judgment? If your name is written in the Book of Life you don’t need to fear God’s judgment anymore. All those who have their names written in the Book of Life will be saved by grace through faith. They will not be judged by their works, but by faith in the Lord Jesus Christ and His imputed righteousness. They have been forgiven of all their sins and cleansed by His blood. God will never remember their sins again! We are saved by grace through faith, not of our own works, lest anyone should boast (Ephesians 2:8-9). No matter what type of life you’ve lived in the past, no matter what sins you have committed, your name can be written in the Lamb’s Book of Life today – if you repent and receive Jesus Christ as your Savior and Lord. That is the greatest and wisest decision you can ever make. Unfortunately, too many people are fools to the very end of their lives. They never believe, and never repent, and they reject God’s free gift of salvation. I admonish you today, to become the wisest person in the world, and receive Jesus Christ as your Savior and Lord. Be saved before it’s too late! Today is the day of salvation…Won’t you receive Jesus right now? If you just prayed this prayer, write us and let us know so we can rejoice with you! Categories: EVANGELISM | Tags: 2 Corinthians 6:2, Christianity, death and hell, Ephesians 2:8-9., Evangelism, Forgiveness, God, Grace, Great White Throne Judgment, Holy Spirit, Jesus Christ, Judgment, Lake of Fire, Men of Wisdom, Messiah, Religion, Revelation 20:11-15, Romans 8:1-2, Salvation, theology, true wisdom, wisdom | Permalink.